Offering condolences on the passing of Joseph Goodwin, the brother of our classmate the Rev. Lloyd Goodwin (who graced us with the invocation at our recent 35-year reunion). 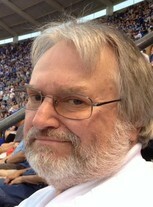 Joseph B. Goodwin Sr., 52, of Lansing, passed away Monday, Nov. 2, 2009, at Kansas City Hospice House. He was born July 27, 1957, in Leavenworth, the son of Julius Alfred and Ruby Marie (May) Goodwin Sr.
Joseph served in the U.S. Army from 1978 to 1981. While serving in the Army he earned the sharp shooters medal, the aircraft crew members badge and the good conduct medal. Joseph enjoyed playing drums and baseball. He was a proud employee of FedEx Corporation with many years of loyal service. On July 4, 1998, he married Marilyn Denise Simien in Lansing. She survives at the home. He is also survived by his children, Joseph B. Goodwin Jr. of Leavenworth, Phillip C. (Lashay) Goodwin of Overland Park, Kan., and Tiffany Krystal Marie Goodwin of Leavenworth; a granddaughter, Desiree Shelly Goodwin; his siblings, Julius A. (Kathy) Goodwin Jr., James W. Goodwin, Deborah K. (Paul) Moore, Margaret E. (David) Rainey, Lloyd N. (Pamela B.) Goodwin Sr., Sharon D. Davis and Keith A. (April) Goodwin; his Canaan Worship Center family; his FedEx Family; and a host of nieces, nephews and extended family. Joseph was preceded in death by his parents; two siblings, Franklin S. Goodwin and Ruby L. Hill; and the mother of his children Shelly D. Buchanan Goodwin. Visitation will be from 6 to 8 p.m. Friday, Nov. 6, 2009, at the R.L. Leintz Funeral Home. A funeral service will be at 11 a.m. Saturday, Nov. 7, 2009, at Canaan Worship Center, 5333 Bannister Road, Kansas City, MO 64173. Burial with military honors will be at 2:30 p.m. Monday, Nov. 9, 2009, at Leavenworth National Cemetery.